Our wonderful Netzer & PJV Shaliach Uri Levin is going home. 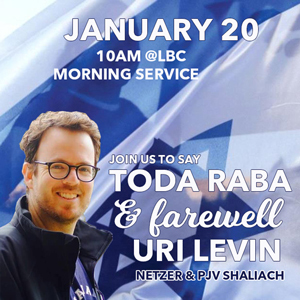 Join us at our Shabbat Morning service on January 20 to say thank you and farewell to Uri. 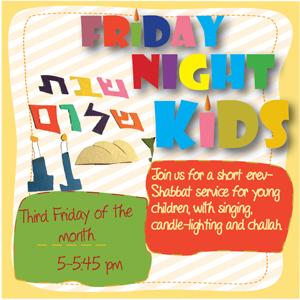 Stay and have a chat at Kiddush after the service. 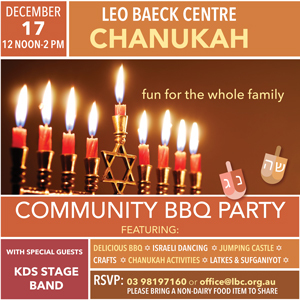 Everyone is invited to join us at our Chanukah BBQ, which will feature craft and Chanukah activities for all ages, a Kosher-style BBQ, lighting of the Chanukah Menorah, live music, and Israeli dancing and, of course, latkes & sufganiyot! Fun for all the family! Please bring a non-dairy food item to share. Welcome in the day of rest with our musical Shabbat service. 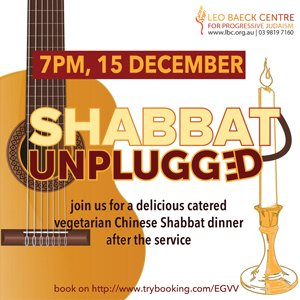 Join us for a tasty catered Chinese vegetarian Shabbat dinner after the service. Bookings essential for dinner. 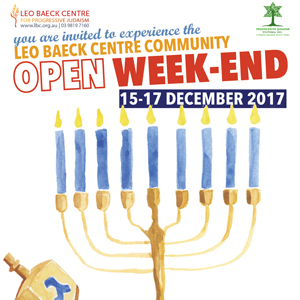 LBC host an Open Week-end of activities, discussion and learning. 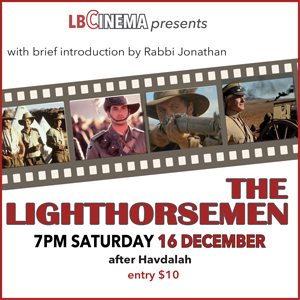 Join us as we welcome the wider community and celebrate Chanukah together! What can compare to the pleasures of the palate? 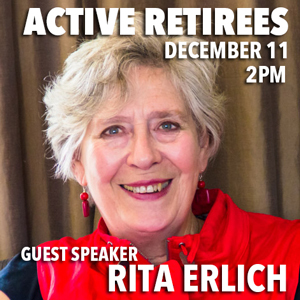 At the final session of Active Retirees for the year we will be hosting Rita Erlich, the ‘foodie’ writer who is always very interesting. We will conclude with afternoon tea together, so please bring a small contribution.